I have been wanting to write about the Nintendo 3DS for a while now. In some ways, I believe it gets lost in the conversation amongst all of the talk about smartphones and tablets. It’s subpar launch certainly didn’t help things either. But as of late, I really think the system is hitting it’s stride. I have certainly enjoyed using mine lately. So how did the 3DS turn things around and why should you care enough to consider buying one? Let’s go back to the launch of the system. The Nintendo 3DS launched in America on March 27, 2011 for $249.99, which is a lot of money for a handheld system. To add further frustration, Nintendo only released two first party games at launch – The decent Pilotwings Resort and the not so decent Steel Diver, not exactly heavy hitters like Super Mario or The Legend of Zelda. On top of that Nintendo’s eShop, their version of the app store for downloadable games, demos, and movies wasn’t ready for launch. It wasn’t until June later that year that the eShop finally went live for 3DS owners. It’s fairly easy to see how a $250 handheld system with zero must have games and a not quite feature complete OS didn’t exactly take the world by storm in the world of iPod touches, smartphones, and tablets, not to mention Nintendo’s previous handheld, the DS, which was dirt cheap by this point. I bought a 3Ds on launch day and after a few weeks of Pilotwings and the built in software it basically sat on the table collecting dust. It would occasionally get turned on but not very often. It looked like as great of a success as the DS had been for Nintendo they had really screwed up with the 3DS. Sales were weak and the public was seemingly indifferent towards it. It looked like that maybe the time for dedicated handheld video game systems had passed by. But then Nintendo started to turn things around. On July 28th 2011, just 4 months after it’s release Nintendo dropped the price of the 3DS a substantial $80.00 from $249.99 to $169.99. They apologized for the lack of games and gave everybody who had paid $249.99 for the 3DS twenty free downloadable games (10 NES games & 10 Game Boy Advance games) as a goodwill gesture. The games being released were more frequent and of better quality, the eShop became a great place for cheap downloadable games as well as classic Game Boy and NES games which could be bought cheaply, and sales dramatically improved. On August 19th 2012 Nintendo released the 3DS XL in North America. I traded in my launch 3DS for a shiny blue 3DS XL on that day and am extremely happy with it. Boasting dramatically bigger screens, better battery life, and being much more comfortable to hold, in my opinion it is a superior system in every way. I wholeheartedly recommend the XL if you are on the fence between it and the original. So what is so great about the 3DS? First off is the games. I have grown up playing Nintendo games and will always have a special place in my heart for them. Nintendo’s systems are the only place where you can play these games and the 3DS already has a bunch of good ones. Some of the best ones available now are Super Mario 3D Land, Luigi’s Mansion Dark Moon, Mario Kart 7, Professor Layton & The Miracle Mask, Donkey Kong Country Returns 3D and quite a few others. There are plenty more on the way too. Just this year will see the release of Animal Crossing New Leaf, Mario and Luigi Dream Team, Pokemon X/Y, The Legend Of Zelda: A Link to the Past 2, and Mario Party, with Yoshi’s Island, Monster Hunter 4, and Super Smash Bros. all coming after this year. There are more games for this system I am looking forward to than the rest of them combined. That’s not even mentioning any of the downloadable games either (My downloadable picks are HarmoKnight, Gunman Clive, Pushmo, and Mutant Mudds). Another thing I like about the 3DS are the built in social features, most notably StreetPass. StreetPass works when you are walking around with your 3DS closed. When you pass by another person with a 3DS both people get notified the next time they open up their systems. Their Mii will visit your 3DS and your Mii will visit theirs. You can use people’s Miis to help play mini games built into the system and to collect Nintendo themed puzzle pieces. It sounds strange but it is quite addicting. I recently went to the Dallas Comic-Con and brought my 3DS where I received many StreetPasses. It was really cool seeing the people, where they were from, and what they had been playing. I guess to summarize it all up, if you grew up with Nintendo and haven’t recently paid them any attention, check out the 3DS. It is a great little system and has really turned itself around. The last numbers I could find were about 31 million units sold. This thing isn’t going anywhere, and there are a lot of great games still to come. Mine certainly hasn’t gathered dust in a long time now. 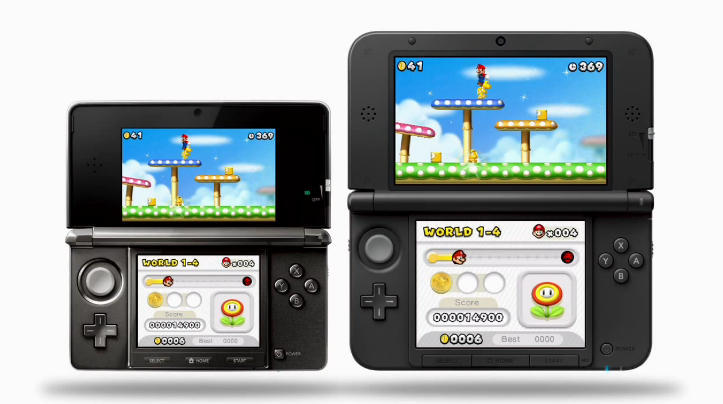 Now if only Nintendo could turn around the Wii U……..